Colleen grew up with an adventurous spirit which brought her quickly from the Midwest to Santa Fe, New Mexico to experience the mountains and open space, whether on foot, her bike, or with one of her two daughters in tow. 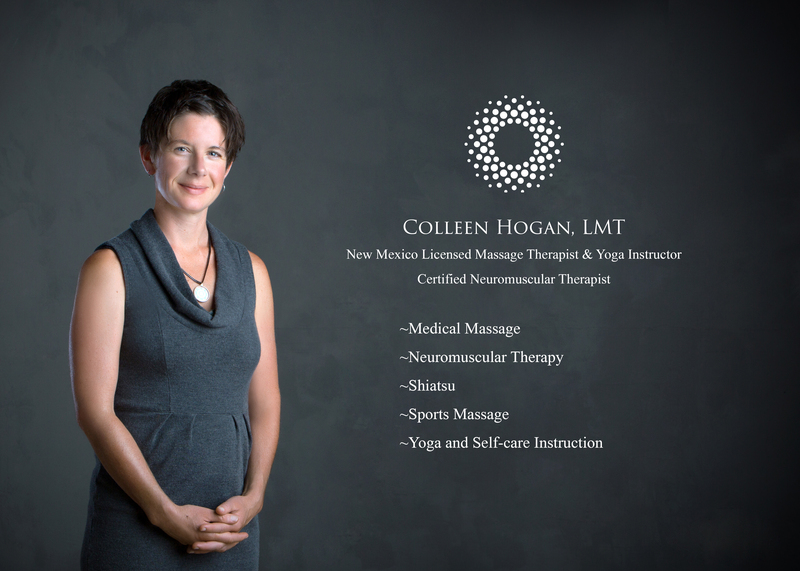 Colleen is a licensed massage therapist and yoga instructor. Since graduating from the Scherer Institute’s massage therapy program in 2010 Colleen has delved fully into her bodywork practice and continues to broaden her knowledge at every opportunity. Colleen is certified in Neuromuscular Therapy, a method that uses postural assessment as a basis for treatment along with fascial release and deep tissue techniques. She has also studied sports massage and the healing art of Shiatsu, a method that uses deep energetic pressure to release imbalances along the meridian pathways. Colleen works deeply and specific, yet nurturing. She carefully assesses the condition of each client to effectively blend a variety of techniques to fit their unique needs.